Say hello to some great tasting, flavoursome and satisfying No and Low alcohol beers. It is a fast-growing sector where choice is no longer just a dusty bottle of lager that tastes likes cardboard. Now there are dozens of brewers producing pale ales, stout, porter, brown ale, mild, wheat beer, sours, golden ale, fruit, bitter, as well as helles and pilsner lager. To be classified as No or Low Alcohol in Britain beer must contain no more than 0.5% alcohol. To put that number into context, four ripe bananas contain a similar amount of alcohol, whereas dental mouthwash can be up to 20% ABV. 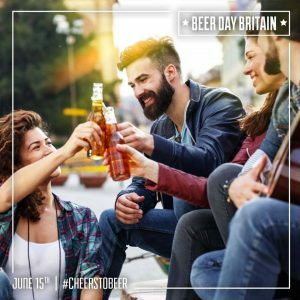 To find a No or Low alcohol beer to celebrate Beer Day Britain with, check out the Club Soda website.